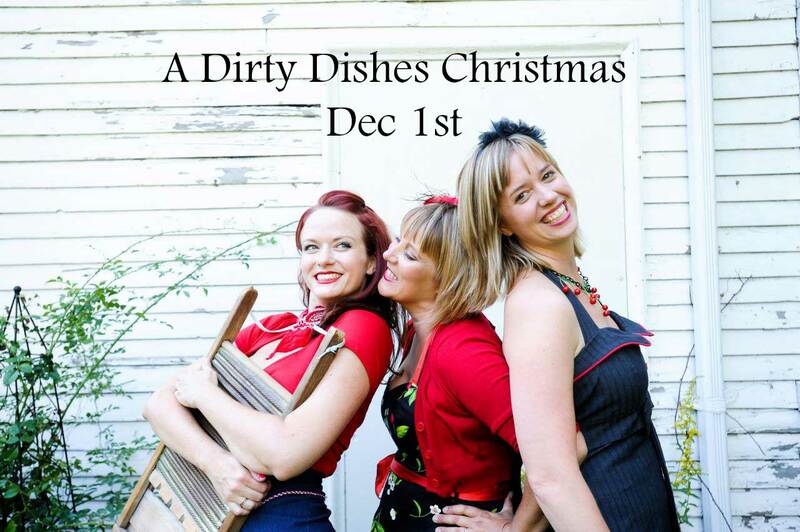 Coming together with extraordinary energy and bringing a shine to every space they fill, Dirty Dishes are a harmony driven roots trio loved for their down-home music, tight harmonies and unforgettable charm. Featuring Lisa Olafson, Alison Porter, and Suzy Wilde, and backed by their rhythm section, “The Plate Rails,” these Dishes have been breaking hearts and soothing souls across Canada for nearly a decade. Deck the Halls with Dirty Dishes is a new concert featuring original songs, covers, and a collection of holiday favourites sure to lift your spirit and make your season bright. Happy Holidays!